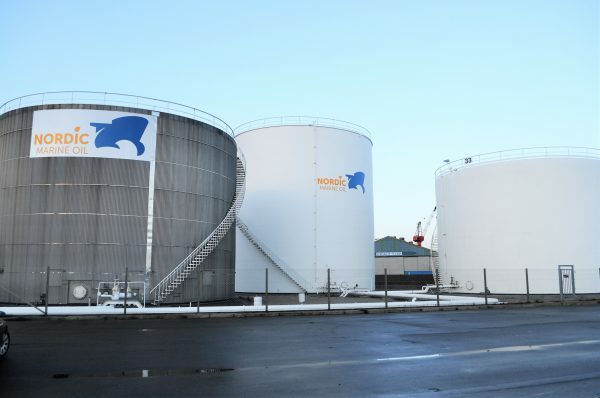 Through our fully owned daughter company, Nordic Marine Oil A/S, we offer supply of bunker oil and lubricating oil in several Danish ports and straits. Nordic Marine Oil A/S has its own barges available off Skaw and in many ports along the Danish west coast for which reason we can always meet your ship and your demand at the best possible location. Nordic Marine Oil A/S has its own storage facilities in Skagen, Hirtshals, Frederikshavn, Hanstholm, Thyborøn, Hvide Sande, Esbjerg and Gedser, meaning that we always have products readily available to you. Through Nordic Marine Oil A/S, we offer supply by barge, by truck and ex pipe. In various Danish ports, holders of a Nordic Marine Oil card can use our self-service facilities. Please contact our sales team by sending an e-mail to sales@malik.dk if you would like to hear more about what we offer in Denmark.